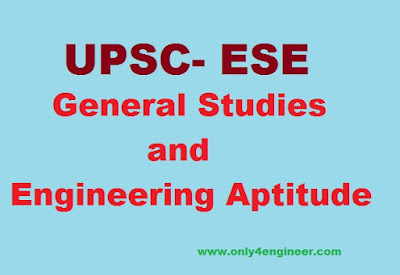 Engineering Service Examination or ESE is one the toughest examination of engineering disciplines, conducted by UPSC, in every year. The most important and toughest part of the examination is paper I. Paper I contained General Studies and Engineering Aptitude. We are sharing best book for paper I with following topics. · Current issues of national and international importance relating to social, Economic and industrial development. · Engineering Aptitude covering Logical reasoning and Analytical ability. · Engineering Mathematics and Numerical Analysis. · General Principles of Design, Drawing, Importance of Safety. · Standards and Quality practices in production, construction, Maintenance and services. · Basics of Energy and Environment: Conservation, environmental pollution and degradation, Climate Change, Environmental impact assessment. · Basics of Project Management. · Basics of Material Science and Engineering. · Information and Communication Technologies (ICT) based tools and their applications in Engineering such as networking, e-governance and technology based education. · Ethics and values in engineering profession. Please more shares for this article.